St. Leonard School | Private Schools - Why Berwyn? - Why Berwyn? Welcome to St. Leonard School! Home of the Lions! 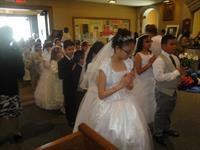 We are a Catholic elementary school located in south Berwyn that promotes life long learning in a faith filled-filled community. We are located in south Berwyn just east of Oak Park Ave at 34th Street on Clarence Ave.